It takes just one captain to direct a ship towards troubled waters, and away from safe harbour. It’s much the same when it comes to leadership in modern business. A CEO can lift an organisation to higher heights of influence and market share, or can plunge a company into disaster with a series of bull-headed moves. The difference lies in personality. And on some level, the whole organisation will follow the leader, wittingly or not, towards either the light or the darkness. For leaders to succeed, it’s crucial for them to be aware of their own personality traits, and to be moulded and developed into worthy captains as they ascend the corporate ladder. 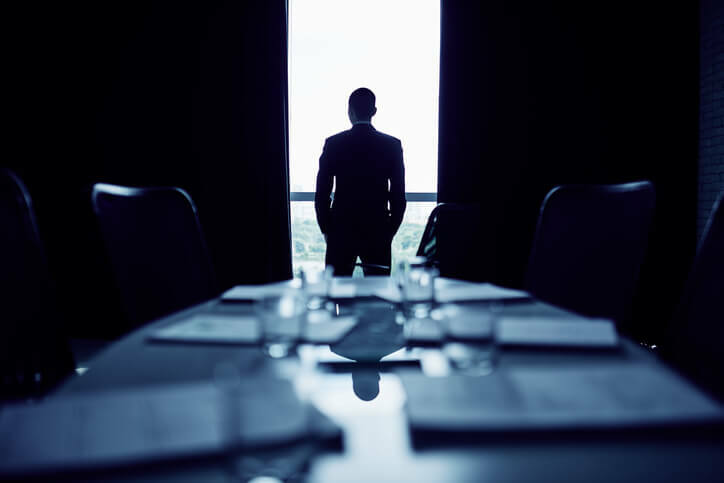 Here, we explore the ‘dark side’ of leadership: how it emerges, and how employers can properly assess and develop leaders as they grow and achieve. We start with the obvious truth: we all have ‘good’ and ‘bad’ traits. That is, those traits that are healthy and helpful for collaboration, and those that are unhealthy and create disorder. The ‘bright side’ personality traits are what we express when we’re at our best. They are how we want others to see us, and they form our consciously-controlled public personas. We are careful to display these traits when first getting to know people, particularly in the workplace — as we’re most attentive in the very beginning to creating good impressions. ‘Dark side’ traits, on the other hand, begin to emerge once we’ve settled into the corporate social order and have let our guard down. These are the harmful, derailing traits that can suddenly spring up when under high stress, and can quickly degrade job performance and teamwork ethic. Dark side traits can also be seen another way: as overused or heightened strengths. In this case, the dial on a typically good attribute is turned up, to the point that it causes discord, offence, or other social and occupational problems. Boldness, for example, is commonly thought to be good, but can quickly become a ‘dark side’ trait. It can be helpful when pressures are high, as it can bring non-committal peers to account and drive productivity. However, it’s often used to force views on co-workers, causing intimidation and discomfort. In the short term, heightened boldness might help an employee cope with their own stress, but it can ultimately push away peers and defeat cooperation. It’s not by coincidence that leaders achieve power. Charm, assertiveness, and a strong focus are some assets a leader might possess. But those features may be the ‘dark side’ coming to bloom. As a leader gains higher status, there are fewer checks on their ambitions. Colleagues become quieter about the harmful, destructive behaviours they see. As a result, leaders gain power without the self-awareness needed to ‘turn down’ their derailing qualities. Eventually, at the very top, dark side traits can come fully unleashed. While at a lower level, employees at an organisation might be quickly fired for showing off the dark side, the boss answers to nobody. Drawing up a list of a person’s traits is an interesting exercise, but it holds very little power for predicting behaviour. Any solid, predictive approach to corporate personality assessment must cast a light on how employees will act in the future, especially when promoted to bigger, more crucial roles. If potential leaders are made aware of their own strengths and vulnerabilities, they will be better able to check themselves and choose the right behaviour, more of the time. Assessing and developing top performers should be a never-ending process. Only by building self-awareness in the ‘rising stars’ can an organisation truly ensure its own future success. At Winsborough, we take a scientific, robust approach to personality assessment and leadership development. Part of the process entails building self-awareness in promising talent, and teaching them to limit their ‘dark side’ so they can bring the best out of themselves and those they manage. This approach makes for stronger organisations and better societies, one leader at a time. Do you want to make sure your firm’s future leaders will steer the ship well? Talk to us to learn how we can help.